Last week, before exploring the dark, dark place known as the two live action Scooby-Doo movies, I gave a brief review of Scooby-Doo on Zombie Island, a 1998 straight-to-video film that just about singlehandedly revived the franchise after—depending on how you count and how you feel about A Pup Named Scooby-Doo—about two decades of stagnation. The film features “real” monsters, some ancient pagan cat voodoo (don’t ask), and the sentence, “You ain’t never catched that fish and you ain’t never gonna did.” All these elements, combined with a return to the classic Scooby-Doo cast of characters and a pretty decent script, managed to recapture the alienated affections of children and lonely adult Scooby-Doo fans like… uh… no one around here. 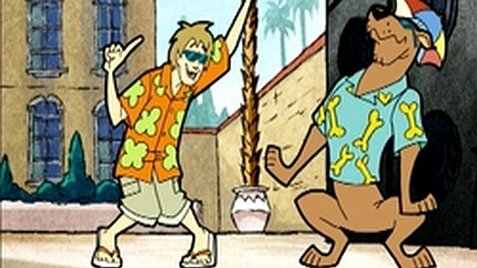 Anyway, keeping in the animated sphere and pretending, at least for this week, like the live action movies never happened, the unprecedented success of Scooby-Doo on Zombie Island spawned multiple follow-up movies and the equally popular series What’s New, Scooby-Doo?, which ran from 2002-06. And look who’s happy to be back. The new, desperately early 2000s Scooby marked a return to the basics: five friends wandering the country, accidentally stumbling upon dreadful mysteries, facing hideous monsters, and unmasking a cranky old coot in the end. Across its three seasons and four years on the air, Scooby faced some classic monsters—like vampires, ghosts, and spooky scarecrows—and some unorthodox, high-tech threats, such as a futuristic smart house run by a self-aware, murderous artificial intelligence. Probably the most important, most brand-defining element they preserved from the old days is their unabashed, shameless, endearingly misguided attempts to connect with the enigmatic youth of the day. The scripts from the original run of Scooby-Doo, Where Are You? use the words “groovy,” “spooky,” and “like” as often as they use proper punctuation, and the garishly colored outfits and vehicles attempt to capture the popular fashions of the 1970s. What’s New, Scooby-Doo? is, in principle, no different, and no episode illustrates this point better than the pilot. “There’s No Creature Like Snow Creature” reintroduces us to Scooby, Shaggy, Velma, Daphne, and Fred, five intrepid friends with a penchant for solving mysteries. Although dressed in homage to their old selves and driving the original Mystery Machine, there’s no question about how hard everyone is trying to connect with the youth of the new millennium. While some classics are never replaced, the slang is mostly updated and, as a result, is generally a lot less fun. Is that how we sounded in the early 2000s? Language and character design aside, three things let us know that this is a Scooby-Doo for a new generation. First, the series premier is entirely about extreme sports. The gang investigates a yeti that’s been terrorizing a snowboarding competition, and as we all know, every kid from 2002 wanted a snowboard, except the ones who already had one, and they were gods among children. Second, everyone’s using cutting-edge technology, from DVDs and clunky laptops to high-end flip phones with spotty mountain service. The kids of 2002 were all computer experts. Third, and most important of all, the show features a new theme song written and performed by French-Canadian pop punk band Simple Plan. What is more 2002 than that? The movie tie-ins of this time, from 1998 until the unfortunate unravelling in 2007, all follow along this theme, but perhaps none quite so brazenly as the 1999 movie Scooby-Doo and the Witch’s Ghost, which introduces and heavily features the fictional eco-goth band, The Hex Girls. Now, not to gloss over the narrative content of Witch’s Ghost too much, but we do need to talk about the Hex Girls. So, if you are unfamiliar, “eco-goths” are exactly what they sound like. 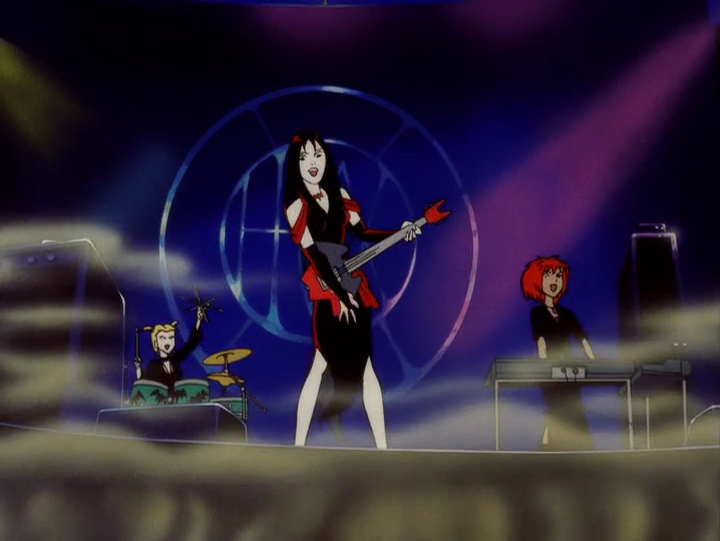 The Hex Girls dress like vampires and play child-appropriate rock songs about loving the earth, respecting Mother Nature, and witchcraft. Eco-goths. The band was so popular, they appeared again in Scooby-Doo and the Legend of the Vampire and in an episode of What’s New, both in 2003, and later in a few episodes of Mystery Incorporated. But, thankfully, because this makes for such a good closing point to this paragraph, their popularity extended beyond the Scooby-Doo fandom. So, eco-goths are a real thing. They’re basically just environmentalists who like the gothic aesthetic. Their motto is, “wear black; think green,” which I cannot make up. In a surprise twist that threatens to take the cake for “most gloriously 1999 thing ever,” the Hex Girls are, indeed, the original eco-goths. That term did not exist before Scooby-Doo and the Witch’s Ghost. They did it, everyone. They connected with the youth of the day. So yes, 1998’s Scooby-Doo on Zombie Island signaled a new era of prosperity for the animated incarnations of the character. It saw various decent-to-good direct-to-video movies, and a show that ran uninterrupted for four years, which may not sound like much, but Scooby-Doo got rebooted so often before, that record had only been achieved once to date. Unfortunately, What’s New ended in 2006, and 2007 brought about Shaggy and Scooby Get a Clue, which is no-other-word-for-it terrible. I don’t really want to get into it too much. I’d be lying if I said I watched all of it. I couldn’t make myself do that. It’s so bad it will make you nostalgic for the Scrappy-Doo years. It’s not just bad for Scooby-Doo; it’s bad by any sort of standards for any sort of entertainment. Everything is terrible. Don’t watch it. Don’t watch Shaggy and Scooby Get a Clue. Just don’t, okay? It’s really just not worth it. Fortunately, it didn’t last for very long. A year later, Warner Bros. returned to the aesthetic of What’s New for a few more animated movies, none of which were particularly good, but all of which looked amazing in comparison to Get a Clue. All in all, they rounded off the decade on a positive note, with only one truly severe misstep in the years between 1998 and 2010. I’m happy to say the best was yet to come. 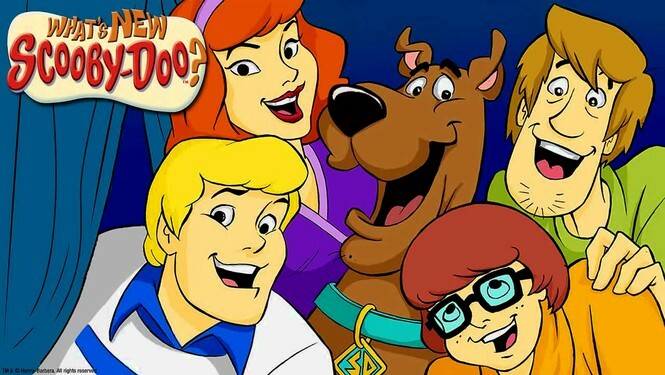 Next week I’ll conclude my comprehensive history of Scooby-Doo by talking about what is without question one of the greatest children’s shows ever made, Scooby-Doo: Mystery Incorporated. In defense of the writers, this movie does take place in Louisiana. And occasionally wandering the globe, but I can’t really get behind that. How can Fred afford to transport the Mystery Machine to Brazil or Scotland? Ever tried writing that way? That’s a lot of groove and spook. Well, three intrepid friends with a penchant for solving mysteries, plus two entirely trepid friends with a penchant for snacking and running away from danger regardless of the fullness of their stomachs. Back in action thanks to Zombie Island. In the 1980s it was replaced with this hip black and red van, because it was the 1980s. Except me, although it was around this time that I got my very own floppy disc for school purposes and was very confused as to how exactly it stored all that material, but not nearly as confused as I was a few years later when I got my first USB key. Now look at me: I use a laptop to publish articles about cartoons on the Internet. What an age we live in. Unless you count the live action movies, of course, but maybe let’s not. October 23, 2016 in Octoberween, Second Breakfast. Tags: Daphne, Eco-Goths, Fred, Octoberween, Rooster Illusion, Scooby Doo, Scooby Doo: Mystery Incorporated, Scooby-Doo and the Legend of the Vampire, Scooby-Doo and the Witch's Ghost, Scooby-Doo on Zombie Island, Second Breakfast, Shaggy, Shaggy and Scooby Get a Clue, The Hex Girls, Velma, What's New Scooby-Doo?